The Buffalo Rugby Club is an all-welcoming club. All players who turn up to training and pay their annual fees get game time on Saturdays. Fees do not have to be paid until matches commence in April. The Buffalo Rugby has provided an excellent introduction to Buffalo life for people new to the city and country through their off-field social environment. Frequent visits to the pub after training and match-days, fundraising events throughout the season, and friendships built from within the club are just some of the social benefits the club has provided. Are you looking for new players? Always. Firstly, the addition of players of all standards creates competition for positions, which increases performance at training and on the field. Secondly, fielding two men’s teams requires a large roster of players as injuries, work, college and other commitments takes its toll on numbers. How experienced to I have to be to play for Buffalo Rugby? We accept players of all experience levels. Some are old hands at the game, while some have never played before. Fielding two teams allows us to welcome players of all skill levels. The 1st XV is usually the more experienced players and the occasional natural. The 2nd XV is made up of players on the cusp of playing 1st XV and players who may be moving toward the end of their career but still have plenty to offer as well as players who are new to the sport. What can the club provide for me? This question is usually in regard to foreign players asking if the club can support them financially in some way – flights, accommodation, player payments etc. Unfortunately, with rugby still amateur in the USA, rugby clubs are, most commonly, unable to provide any of this to players. All foreign-based players currently at the club have arrived on their own accord, having organised their own relevant visas. What the club can provide is opportunities for work and accommodation should players turn up with the right attitude. Buffalo Rugby boasts a community of around 500 active and non-active members, and therefore, is a great club for networking. Many of our players have found work through or for people associated with the club, or met people who either need housemates or rent to new players. What level of rugby does the club play? 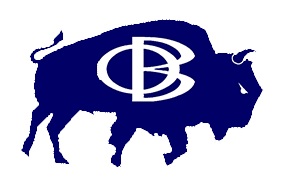 Buffalo Rugby 1st XV play in the Empire Rugby Union Division Two which is the second highest league in the country. The second side plays in Division Three. Both competitions are a pathway to USA Rugby national championships. In a nutshell, the standard the club plays at is highly competitive, physical, and serious. Where does the club play? Buffalo Rugby plays home games in Delaware Park. Away matches occur in upstate New York, New York City, New Jersey, Pennsylvania, Ontario, and Ohio. National playoff matches may occur in other regions of the USA. Every so often the club goes on international tour, the last being to England and Wales in 2015. Why should I join the Buffalo Rugby over another club in town? We believe we are the best club for people new to the city or the sport to join for several reasons. Buffalo Rugby is based in the city of Buffalo. Games and practices are in historic Delaware Park. Most training and social events still take place within the city. And the park is near the lively Elmwood Village and Hertel Avenue neighborhoods. In the spring, indoor practices are held in the Adpro fieldhouse, training ground for the Buffalo Bills. Our social environment is always busy which gives club members plenty of opportunities to make new friends and meet new people. Over the years Buffalo Rugby has brought new and old friends together, created business partnerships for people, and even introduced a few future husbands and wives. And we've been a successful club for over 50 years. Keep showing up and you'll get selected to play. Before you play you'll need to become a member of USA Rugby. This will provide some insurance and make you eligible for league competitions. On the website check out the Photo Album, the Archived Docs, the history, the Wall of Fame. We've been around for over 50 years. Become part of the tradition.